When this year comes to a close, GTM Research expects eight countries will top the 1-gigawatt mark in annual PV installations. By the end of 2018, that number will grow to 13 countries. According to GTM Research’s latest Global Solar Demand Monitor, the next five countries to cross the 1-gigawatt annual threshold will be Brazil, Egypt, Mexico, the Netherlands and Spain. GTM Research expects a 35 percent increase in European demand in 2018 -- a welcome change in a region where installations fell by more than triple their peak in 2011. Leading that charge is Spain. The report points to a temporary revival in Spain with 3.9 gigawatts of PV contracted through a recent technology-neutral auction, which is set to be delivered between 2018 and 2019. There is potentially more to come, though future tenders have not yet been confirmed and the country now looks on track to meet obligations set forth in the Europe 2020 agreement. According to the report, Spain’s annual solar market will balloon from 40 megawatts in 2017 to 1.4 gigawatts in 2018. Looking to the north, the Netherlands will also surpass 1 gigawatt in 2018. Annual growth in the Netherlands has been strong since 2011; the Stimulation of Sustainable Generation scheme has provided a more recent boost. 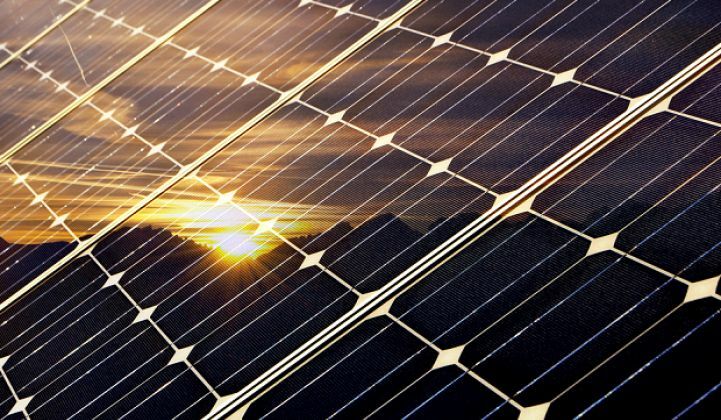 “The European market is entering a phase of sustainable growth, no longer driven by the feed-in tariff boom and bust cycle,” said Tom Heggarty, a senior solar analyst at GTM Research. Europe is moving toward a subsidy-free market, he said. 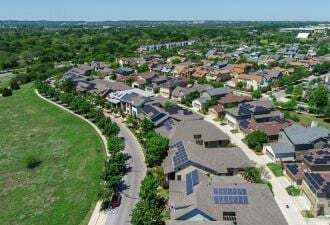 Examples include merchant projects commissioned in Italy, subsidy-free plants in development in the U.K., and German PV auction prices moving closer to wholesale power prices. Led by Mexico and Brazil, Latin American solar demand is expected to more than double in 2018. Mexico currently has the second-largest demand for electricity in the region and is home to favorable renewable energy targets. According to the report, Mexico will make up the bulk of Latin American demand share out to 2022, with 60 percent coming from utility projects and 40 percent distributed. GTM Research expects Egypt’s annual solar market to grow fivefold between 2017 and 2018, reaching 1.4 gigawatts. 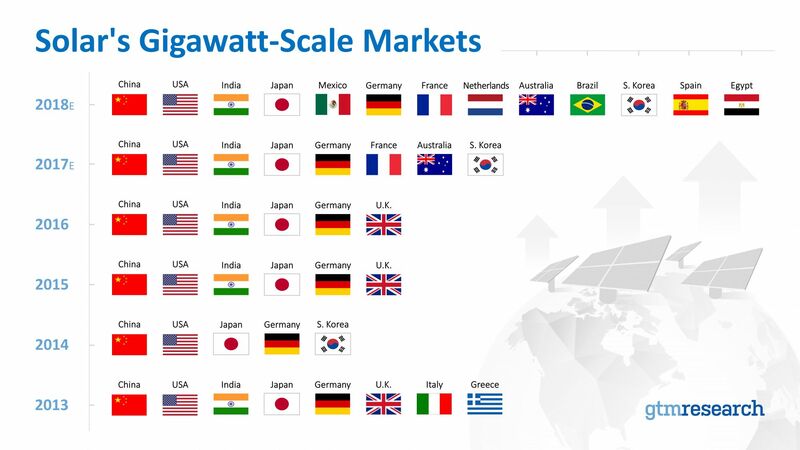 These five countries and other forthcoming gigawatt-scale markets, especially those with regularly cadenced competitive reverse auctions, are diversifying the market in a way that will help stabilize the global supply-demand balance. GTM Research anticipates a cumulative 606 gigawatts to be installed globally between 2017 and 2022. Get access to all of GTM Research's global solar reports and data with an annual subscription. Learn more here.